Posted on June 15, 2017 by Smorgasbord - Variety is the Spice of Life. This is a poetry collection you will want to keep going back to. Mary Smith’s work is subtle and delicate, possessing a quiet, sure strength. The poems are well crafted but never over-written, a difficult balance to get right. Many of the poems have a quiet magic with wonderfully understated effects. 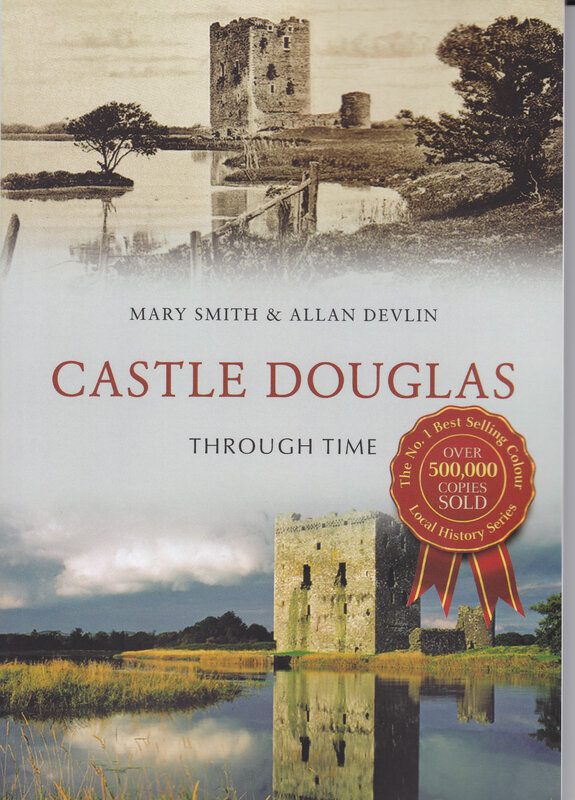 The book also has a wide range of subjects, moods and forms so there is much variety and the reader is continually stimulated with fresh insights and discoveries. Highly recommended. This is a wonderful first collection by Mary Smith. 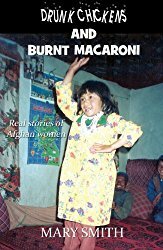 I know her work as a novelist through her novel No More Mulberries and I was delighted to find she has included several poems about Afghanistan. These poems provide vivid snapshots of life and landscapes and of a people who come across as resilient and life affirming despite the war. She writes, too, about her native Scotland, in particular the wonderful wild landscape of Dumfries & Galloway and she explores themes of memory and identity, drawing on her own childhood experiences. 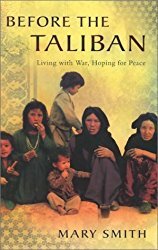 Whether writing about the small boys in Afghanistan who, with their flocks of sheep, `helter-skelter down a mountainside/in a cloud of dust’; losing a parent to dementia; Afghan women laughing at her lack of education; or Glasgow’s Ramshorn Kirkyard where `the dead draw us in, entice the living/to consider past lives’ Mary Smith brings a warmth and compassion to her work. 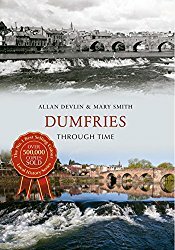 Some of the poems, like the very amusing `Erratic’ and `Smeddum’ are in Scots, though most are in English, in this collection which readers will want to dip into time and time again. 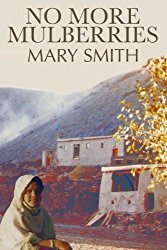 Mary Smith has always loved writing. As a child she wrote stories in homemade books made from wallpaper trimmings – but she never thought people could grow up and become real writers. She spent a year working in a bank, which she hated – all numbers, very few words – ten years with Oxfam in the UK, followed by ten years working in Pakistan and Afghanistan. She longed to allow others to share her amazing, life-changing experiences so she wrote about them – fiction, non-fiction, poetry and journalism. And she discovered the little girl who wrote stories had become a real writer after all. Connect to Mary on her blogs and social media. 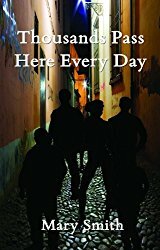 This entry was posted in Book Promotion, Poetry and Haiku and tagged Mary Smith, Thousands Pass Here Everyday by Mary Smith by Smorgasbord - Variety is the Spice of Life.. Bookmark the permalink. I’m not the biggest fan of poetry in the world; a poem has to be pretty good to resonate with me, but this…this was fantastic. As a fellow water-loving child, it really felt familiar and beautifully expressed. Thank you for sharing! Well done, Mary. I enjoyed too.. I love water and was jumping off high boards at 2.. following my two elder sister’s up the ladder they were 10 and 11. Still love it 60 odd years later. Glad you enjoyed Mary’s poem.. thanks for commenting. Thank you so much for your lovely comment. I’m so pleased you enjoyed the poem and it resonated with you. Your mother was probably as terrified as I was! Thank you Michael.. Mary will be delighted. Thank very much for sharing. I really appreciate it. A really delightful poem by Mary, Sally. I really enjoyed reading it [twice]. Thanks, Robbie – so pleased you enjoyed it. Thanks so much for putting Water God of the Otter Pool out there, Sally and for the intro and links, etc. You are a star :). This is so lovely, Mary. Such a beautiful poem, Mary. Such a vivid poem and so full of life and feeling too. Thanks Mary and thanks Sally for sharing. Wonderful poem! As the mother of children who are risk-takers and swimmers, I know the fear. You expressed your feelings beautifully.